The Pixies are going to perform in Israel next summer, four years after they cancelled a show there. 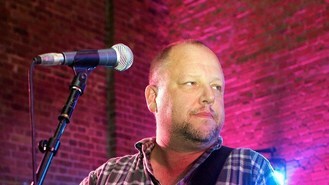 American alternative rock band Pixies will play two concerts in Tel Aviv in June, according to their Israeli promoter. They had cancelled their 2010 concert in the country following a deadly Israeli raid on a pro-Palestinian Turkish aid flotilla to Gaza. The Nidar Oz publicity group explained when the new dates were announced that the previous show had been pulled because of the "tense security situation," but didn't say why the Pixies had decided to perform in Israel now. A number of high-profile musicians, including Elvis Costello and Roger Waters, have refused to perform in Israel due to its policies toward the Palestinians. The Pixies' website says they will make an appearance with American band Soundgarden in Tel Aviv on June 17 and 18. The Magic Numbers have told how their recent acoustic story literally became a journey of rediscovery for them as they found new sides to their music. JLS have bid a fond farewell to their fans at their final concert as a group. Dolly Parton is rumoured to be performing at Glastonbury next year. Britney Spears has opened up about suffering from anxiety and shyness. Niall Horan has revealed he could be stranded in England for Christmas. Taylor Swift has revealed that her fifth album will be different, because she considers each record to be "a reinvention". Selena Gomez has revealed that she has been spending time with her nearest and dearest, following the cancellation of her Australian and Asian tour dates. Britney Spears has admitted she has considered retiring.